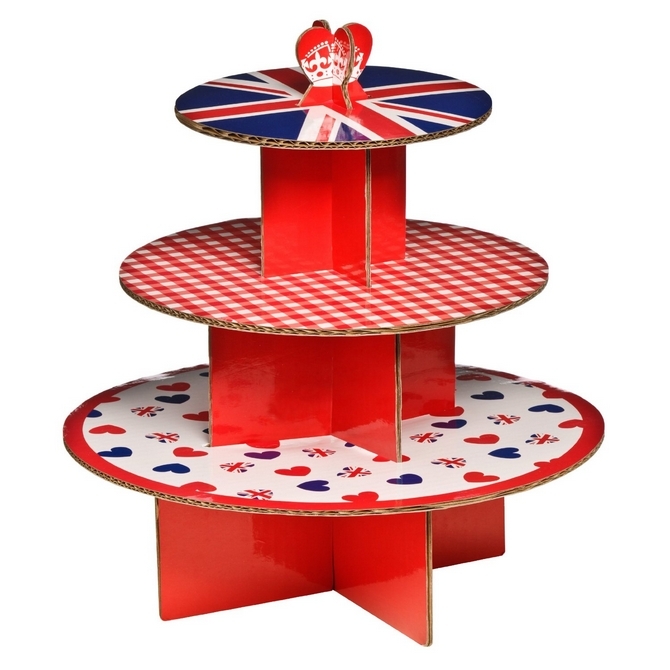 This Fun, novelty Union Jack design cakestand is a great way to display your cupcakes or treats. Holding up to 28 cupcakes and stores flat for convenient compact storage. Made from strong laminated cardboard pieces that are quick and easy to assemble.